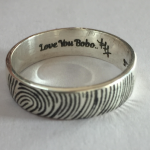 The Shiny FingerPrint Rings together weight close to 14 Grams. This can however be customized to some extent based on the ring sizes. The MenÕs Ring Weight approx 8 Grams, and WomenÕs around 6 Grams. . 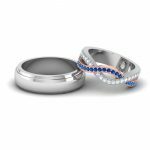 These Couple FingerPrint Adjustable Bands are Custom Made. This has Names with Fingerprint on the inside of the ring. 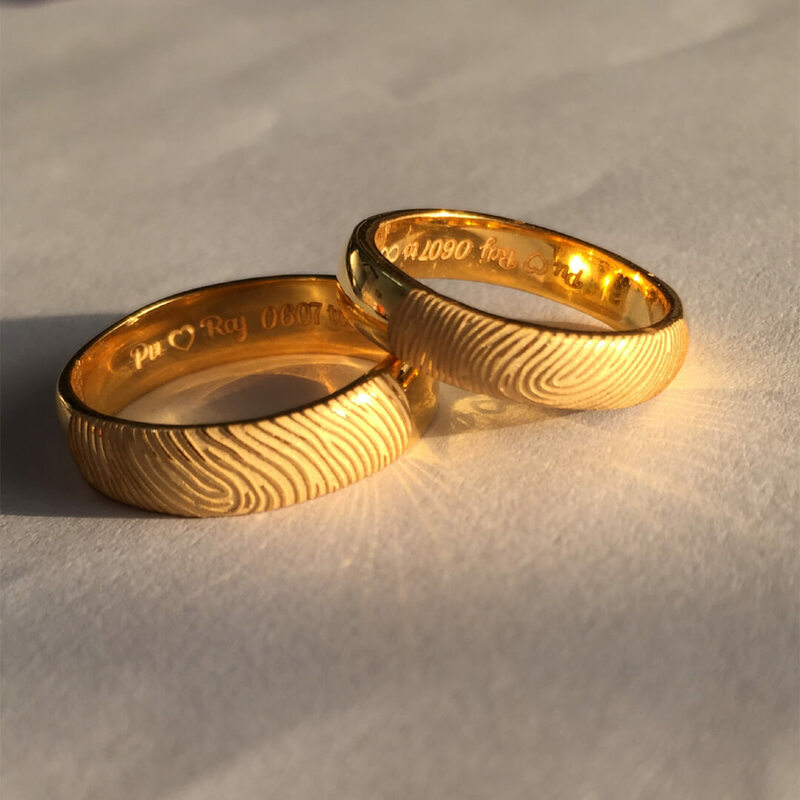 Shiny Fingerprint Gold Wedding Bands Overall rating: 4.7 out of 5 based on 235 reviews.